What’s been your favorite part of the holiday season so far this year? A big thank you to the rest of the 12 Days of Christmas bloggers! 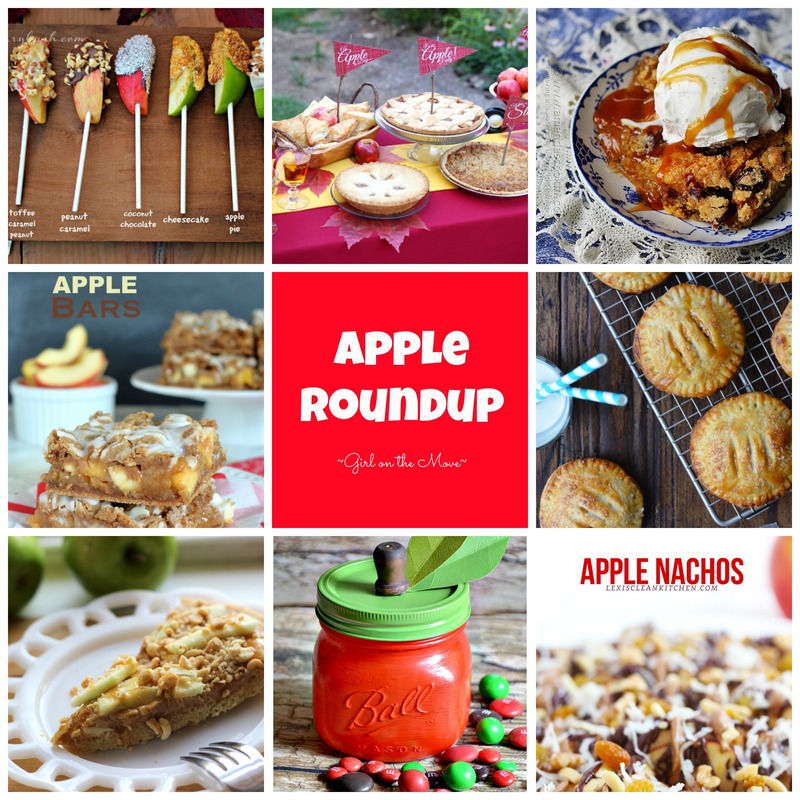 I have loved sharing all of their holiday ideas and inspiration with y’all! Yesterday I went to my first holiday party so I think that it’s reasonable for me to start listening to Christmas music, but alas everyone in my life disagrees with me. So I suppose I will wait another two months to put my Christmas playlist on repeat. 30 Day Fitness Challenges …I love these 30 day challenges! If you want to do one and need some accountability, let me know! Arm Workout with Pharrell Williams …since The Voice is premiering this week!!! Glisten Fit …one of my new fave fitness blogs! Tone & Tighten …Jared always has great stuff on the blog! 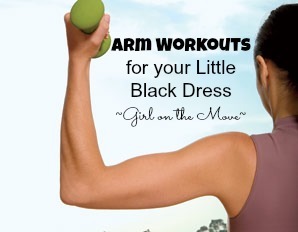 Who’s ready to whip their arms into shape? What’s your favorite exercise to sculpt your arms? Fall is almost officially here…and I am sooo excited! Fall means apples, hot cocoa, Halloween, Thanksgiving, cooler weather, sweaters and PUMPKINS! To help you launch the start of pumpkin season, here are a few ways you can use pumpkins this Fall…and of course there are pumpkin cupcakes included! Pumpkin Craft with Mason Jar Lids from Surviving the Stores …we made these last year and they are so adorable! If you like these recipes, will you please take a second to pin an image to Pinterest? 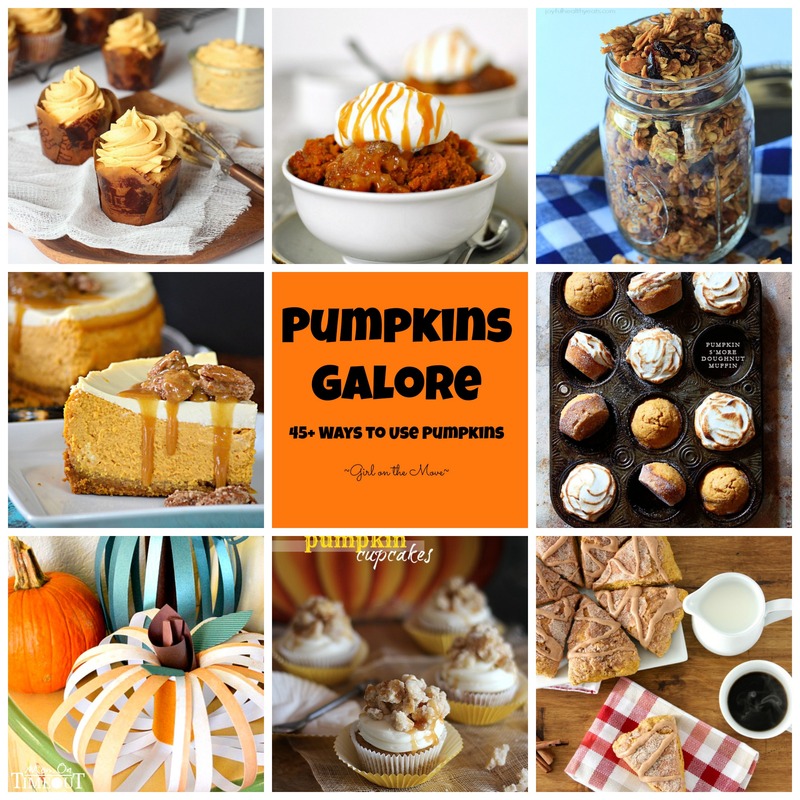 And I’d love to hear…What is your favorite pumpkin recipe? Do you have any pumpkin traditions? Behind Blue Eyes – I met Shelly at a blogging conference this spring and just love the fashion, food, crafts and more on her blog! Glisten Fit – My new favorite workout blog…SOOO many great workouts! Jenerally Informed – I co-hosted Blog Staycation with Jen and her blog doesn’t just have mommy posts…there are also Man-Day posts! Krafts & Kiddos – A family blog filled with crafts, recipes, and a lot of fun! Lisa Kerr: Life Chronicled – A fellow California blogger who is an outstanding writer! Motherhood & Merlot – All about being a woman, a mom, and wine…what a great combination! Reflective Mama – Life as a new mom…so of course I’m reading this one all the time to get ready! Twin Tested, Pin Approved – For all of you Pinterest lovers! Typically Simply – Fun crafts, recipes and Kelly lives in Chicago…so I’m a little jealous! Y’all this is seriously only the tip of the iceberg of blogs I love! I’m always looking for new blogs to follow, so what are some of your favorite blogs? Do you go apple picking in the Fall? What are the first things on your Fall Bucket List each year? Y’all it’s a very exciting week in my family…it’s my brother’s birthday! 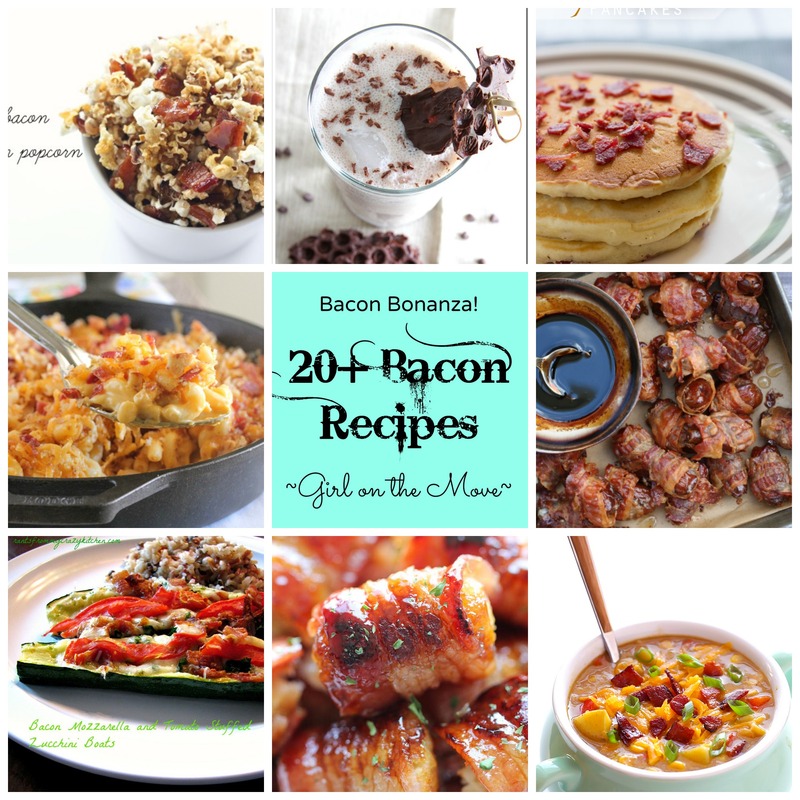 So I thought it was only fitting to do a Links I’m Loving post dedicated to him…and his love of bacon! What’s your favorite way to eat bacon? Any other great bacon recipes I should know about for my brother?